Antivirus programs for Android phones have been on a big number with many big names like Norton too trying their hands in developing applications that help in the security of the phone from the virus from apps and media, and also from the malware that enter while browsing the internet from your phone. But one of the best Antivirus programs that is available since long, and provides good security is the program by DroidSecurity! This antivirus program not just checks for the virus in specified vulnerable areas of the phone, but also enhances the security by helping in keeping it secure and enabling the owner of the phone to remotely manage the phone when its lost. So restricting its name to just an antivirus is an understatement. 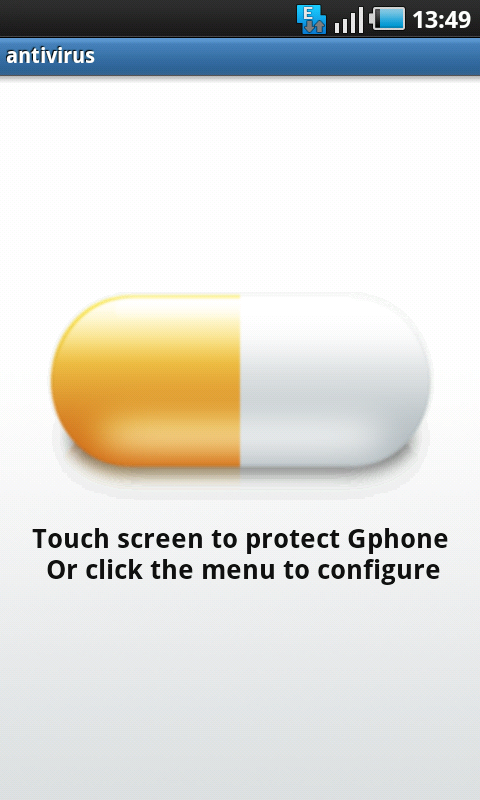 It is one of the most popular antivirus for android phones. 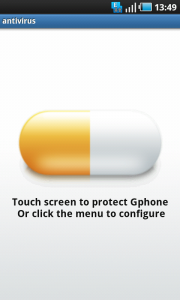 It shows as the antivirus for the GPhone (the G1), but it works for any Android based phone, so tried it with the Samsung Galaxy S running the Android 2.1 (Eclair). 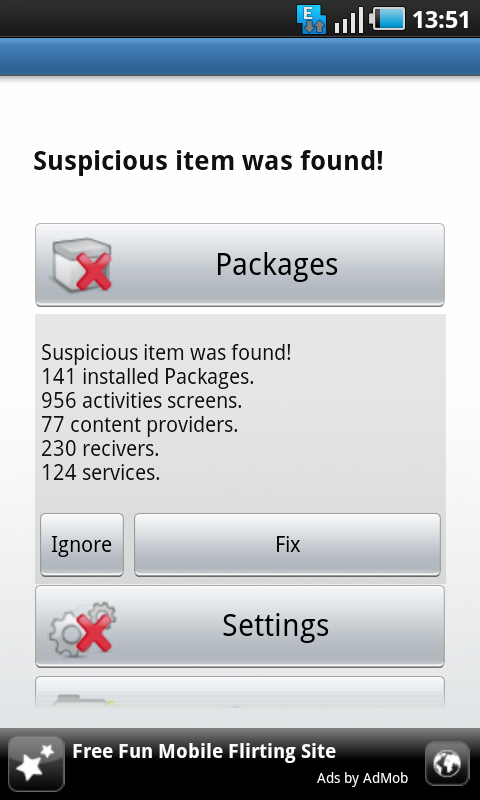 Packages – The info is given about the number of installed packages, the number of activities screens, number of content providers and if there is any suspicious item found. You can fix the problem if found. Settings – You would be notified that the settings are not fine if you are allowing the installation of third party apps, and if the suspicious item is found, the program helps you to fix that. Content – The content that is checked, includes the contacts, bookmarks and messages. The antivirus checks for the security threats and the data security problems, and runs the comparison against the signature lists. Media – The media which is checked, is the image files, audio files, and video files. The vulnerability and the file names, and the threats against the file formats are checked for, and fixed if found by the antivirus program. The security settings include auto-scan option, safely uninstall any risky apps and share the software recommendation with others, and auto-fixing the suspicious messages when they are received. The remote management system of the Android antivirus program is one of the best to keep the phone secure, and the phone sends the information of the current location to the antivirus central, which helps to track the phone. 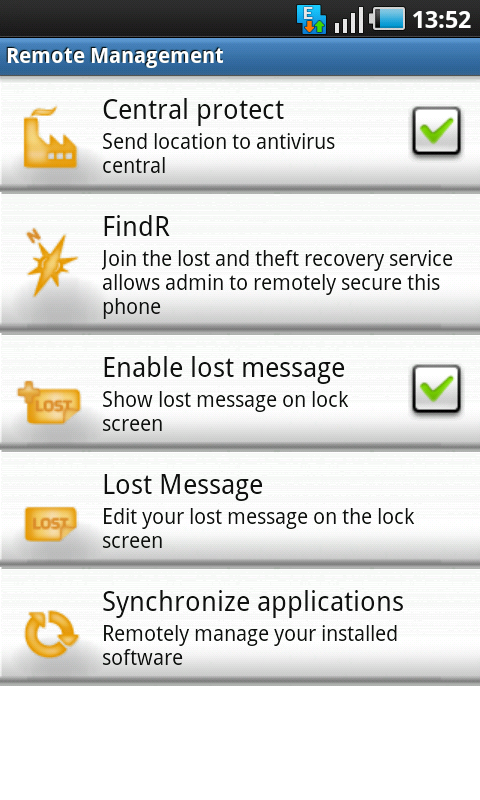 The FindR feature of the phone, helps in joining with the theft recovery service that allows the antivirus admin to remotely secure the phone. The screen can be locked when the phone is lost, and a lost message is displayed, which can be edited by the owner. You can remotely manage the installed software in the phone, by syncing the apps through this app. The antivirus program runs in background and checks for the files which are downloaded into the phone from the web, and then would also check whether the file is safe to use/install or not. One of the best features in the program is that it comes with a fix for any problem or security threat.